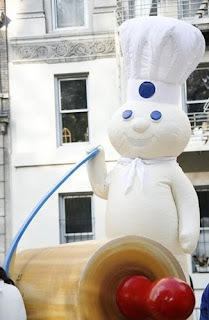 Today, the newest mega balloon entrant in the 83rd annual Macy's Thanksgiving Parade the Pillsbury Doughboy coming in at 46 feet. But what happens if you are afraid of the Pillsbury Dough Boy? You get a Freak Show! As a teenager, I loved carnivals. When they came into town, I set up the tents and the stands, and then took them down when the left. But my favorite part was when a carnival had the "Freak Shows." I always managed to hang around and talk to them. I always thought they were just really cool people, and not freaks. 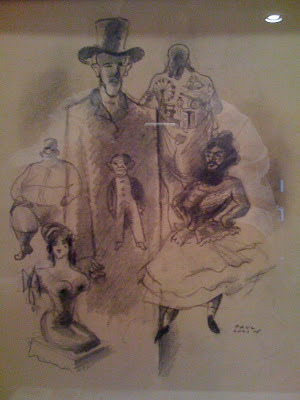 A long time ago, I bought this original charcoal drawing by Paul Colin which hangs in my office--"Freak Show." 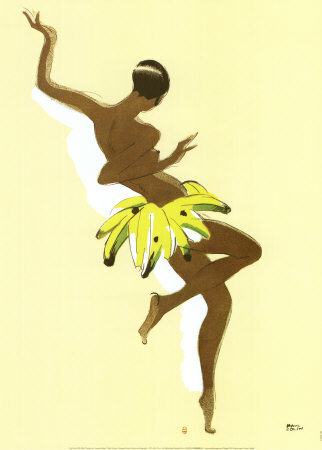 He's the French Poster artist most famous for banana wrapped Josephine Baker. But everyone can have that poster. No-one else can have what I have. And I think mine tells a way cooler story. But what do you draw if you are afraid of the Pillsbury Dough Boy? How about photo-realism paintings? Above is Greg Allen's Land of Broken Dreams. His mother, was terrified of the Pillsbury Doughboy. She suffered from acute phobia in her pregnancy, and scientists speculate that that trauma created a maternal impression, causing her baby, Greg Allen, to be born with congenital lymphedima. He has the Pillsbury Doughboy right hand. But with that, he has been given the gift of ambidextrous ability with his hands which has contributed to his phenomenal photo realist paintings. And he's part of the "Freak Show" at 999eyes. Which shows that these "freaks" are just people with their own very cool talents. So maybe the Pillsbury Doughboy will create some more artists in NYC today. After all, this one is 46 feet tall! 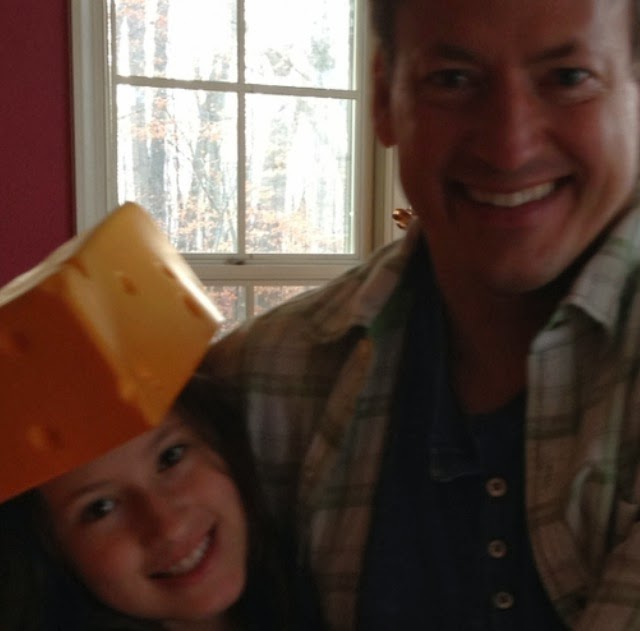 Let's have a moment of silence for the 50 million turkeys that made this day possible!